NET TV ( Featured VLOG and NET CJ Video of the Week, Maret 2017) – Jomblang Cave, Gunung Kidul, Yogyakarta, Indonesia. NET TV ( Featured VLOG and Online Live Interview at NET 10, November 2016) – National Gallery Singapore. 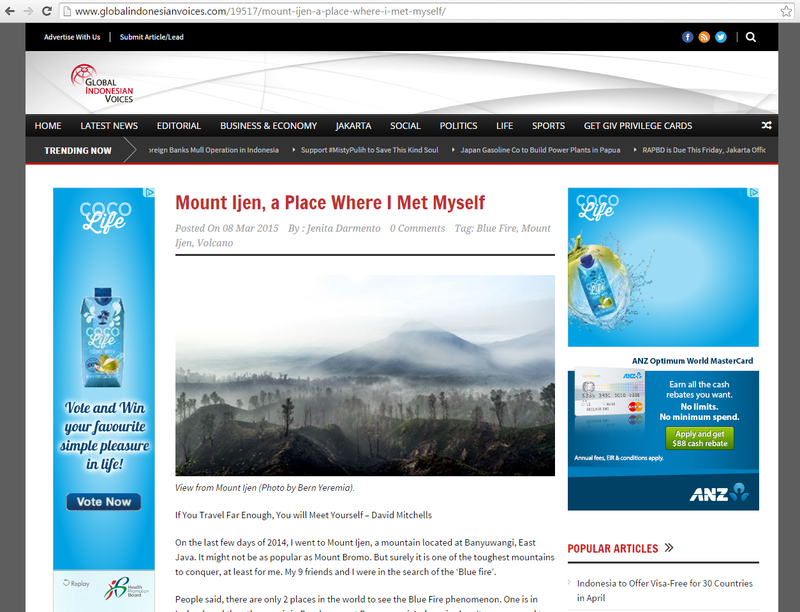 GLOBAL INDONESIAN VOICES – Mount Ijen, Banyuwangi, East Java, Indonesia. Spot The Unnoticed is an independent group of young people who wants to raise awareness of existing social issues through creative media.